W.S. Merwin, U.S. Poet Laureate And Environmental Activist, Has Died In the 1980s, the two-time U.S. poet laureate moved to Hawaii and began working to restore the rainforest. According to one contemporary, that's when he "morphed into a poet of praise." W.S. 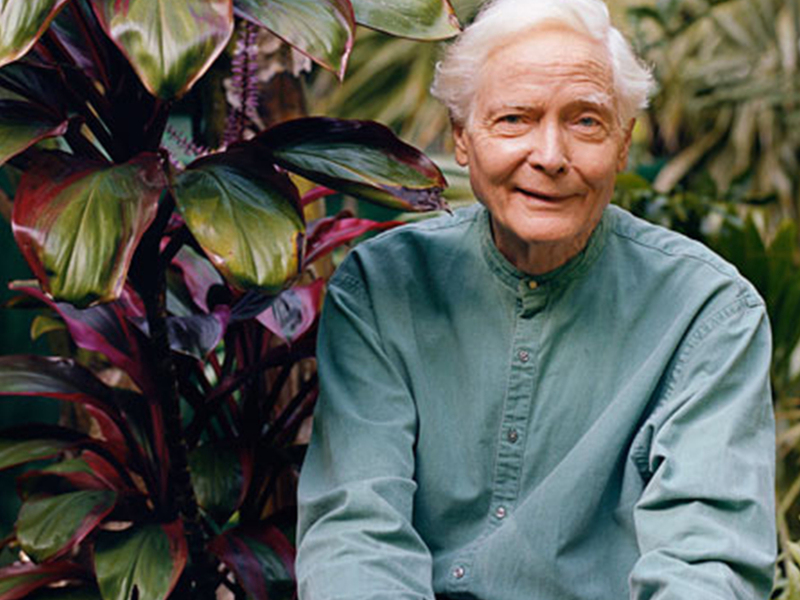 Merwin found inspiration in his conservation work and in his home on the Hawaiian island of Maui. One of America's most respected and enduring poets, W.S. Merwin, has died. Merwin's poetry is known for its mystery and wonder, and he was twice named the U.S. poet laureate. He also won a National Book Award and two Pulitzer Prizes. Merwin died today in his sleep at his home in Hawaii. His death was announced by his publisher, Copper Canyon Press. He was 91 years old. Merwin wrote a lot and for a long time. As a 5-year-old in New Jersey, he wrote hymns for the Presbyterian church where his father was a minister. When he was ready for college, the young Merwin earned a scholarship to Princeton, where he also worked in the campus dining halls. He went on to Europe, where he became a translator and soon a poet. Fellow poet Edward Hirsch remembers when he first saw Merwin's picture. "I thought he looked like Orpheus," he says. "His physical beauty was really quite startling, always." But according to Hirsch, by the time Merwin published his fifth book, he was in despair — worried about the planet, nuclear issues and Vietnam. He wanted his writing to be more urgent, so, to start, Merwin decided to do away with punctuation. "Suddenly using punctuation felt like nailing words on a page," Hirsch says. "He was seeking something like the movement and lightness of the spoken word. Then, as he became more involved in the ecological movement, his poems began to root themselves in the Earth. And one of the most amazing things in this work is by the time he became a poet of old age he had sort of morphed into a poet of praise." That happened on the Hawaiian island of Maui. In the 1980s, Merwin found a worn-out pineapple plantation there and with his wife, Paula, worked to restore the rainforest. His day would begin early with tea, the birds, the wind and maybe some poetry scrawled on the back of an envelope. The afternoon was given to bringing back the palm trees. He talked about his project in the 2014 documentary Even Though the Whole World is Burning. "These big beautiful palms," he said, "I planted them almost 30 years ago. I don't think anybody thought they'd grow here but they look at home now." "He has kept very diligently that precious, quiet oasis of solitude," says Naomi Shihab Nye, a friend of the Merwins who often traveled to Maui. Nye first read Merwin's poetry in 1969, and went on to become a poet and a teacher. A private, all-girls school once asked her to give a weeklong workshop using the work of only one poet. She chose Merwin, and afterwards the girls wrote thank-you notes, saying it was the sense of mystery they really liked. "That was the attitude the girls had," Nye says. "How is it possible that poems which are a little bit mysterious help us to know so much more about our own lives?" Merwin's Maui home, where he raised more than 2,000 trees, will all be set aside as part of the Merwin Conservancy.